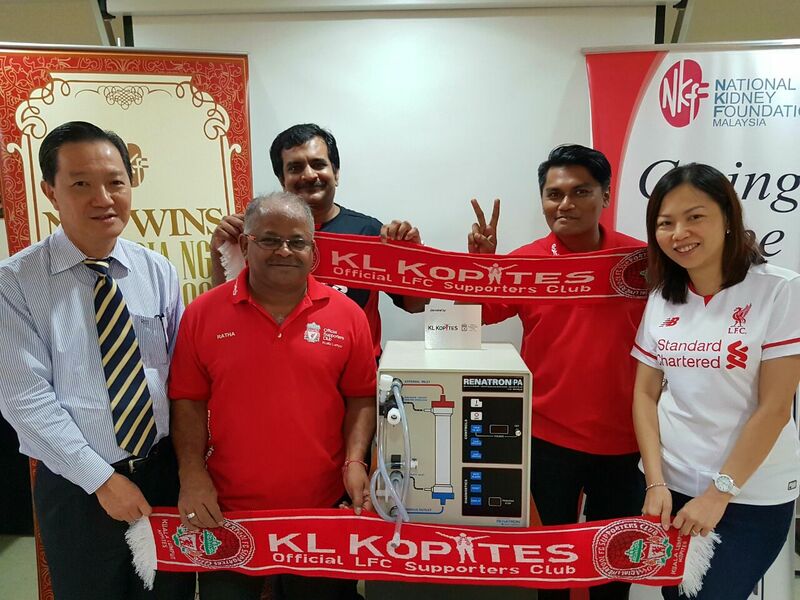 On 15 January 2016 Latter-Day Saint Charities (LDSC) at a ceremony at Pusat Dialisis NKF- Dato’ Dr. G. A. Sreenevasan (Petaling Jaya) handed over a new dialyzer re-processor worth RM33,920 to NKF. The machine was yet another donation by LDSC to the Foundation. It was presented by Elder and Sister Kane representing LDSC to Mr. Chua Hong Wee, the NKF CEO and placed at Pusat Dialisis NKF – Dato’ Dr. G.A. Sreenevasan (Petaling Jaya). The gift is the second machine given by the LDSC. In 2015 it had given to the Foundation a dialysis machine, which was placed in Pusat Dialisis NKF-Good Health (Kampung Pandan, Kuala Lumpur). On 27 January 2016, 99 Speed Mart Sdn Bhd presented two dialysis machines valued at RM92,000 to NKF as part of the company’s efforts in helping the poor kidney patients in NKF to lead a normal life. Starting with a grocery store in 1987, the company has grown by leaps and bounds to become a supply chain of mini-markets located strategically at hundreds of branches along the length and breadth of the country to provide items at competitive prices to serve the needs of households. 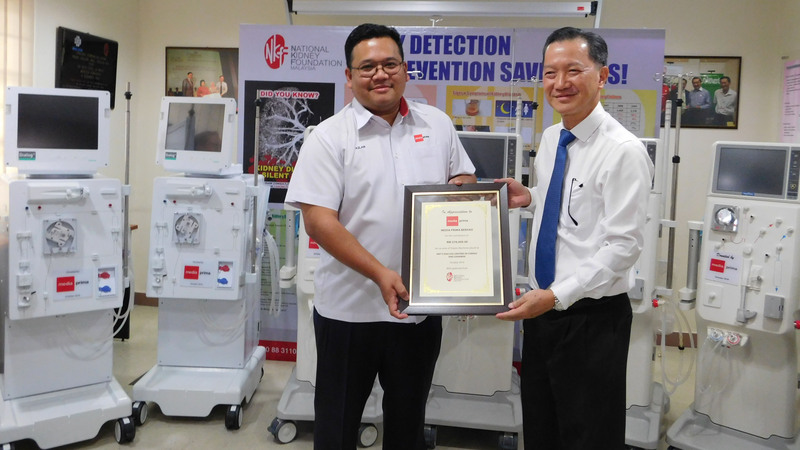 At the presentation ceremony, Mr. Simon Yong Kin Onn, the Company’s Director for Management Information System (MIS) on behalf of 99 Speed Mart presented the two machines to Mr. Chua Hong Wee, the NKF CEO in the presence of staff and patients. As to the machines, one was to be placed at Pusat Dialisis NKF – Kelab Apex (Klang) and the other at Pusat Dialisis NKF – Charis (Cheras). 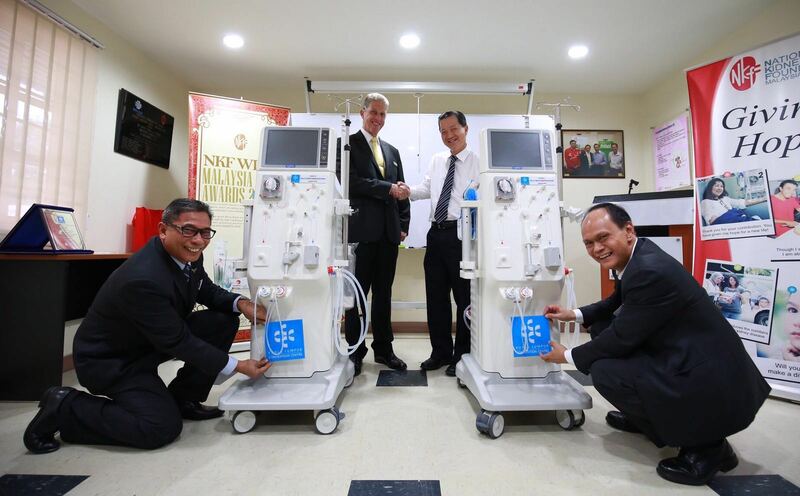 On 29 January 2016 the Kuala Lumpur Convention Centre (the Centre) presented 2 dialysis machines to NKF to make it possible for poor kidney patients of NKF in the more remote areas to have the same standard of dialysis treatment. The presentation of the machines was made by Mr. Alan Mark Pryor, the General Manager, Kuala Lumpur Convention Centre. On hand to receive the machines on behalf of the Foundation was Mr. Chua Hong Wee, the NKF CEO. 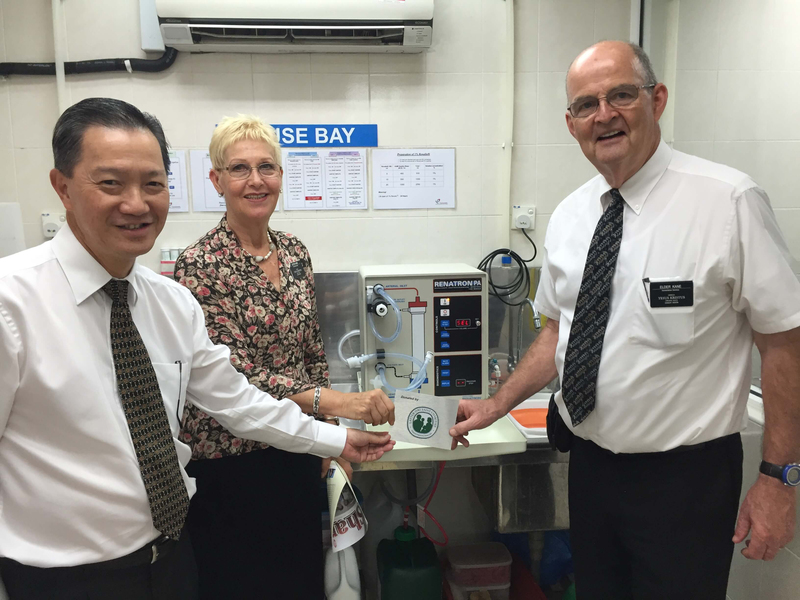 The 2 machines were sent to and utilised at Pusat Dialisis NKF – Kidney Association of Sarawak/Rotary (Kuching). On 3 February 2016, some management and staff members of Egg Plus Holding Sdn Bhd (Egg Plus) visited Pusat Dialisis NKF-Nanyang (Setapak, Kuala Lumpur) to see a dialysis machine the company had donated. 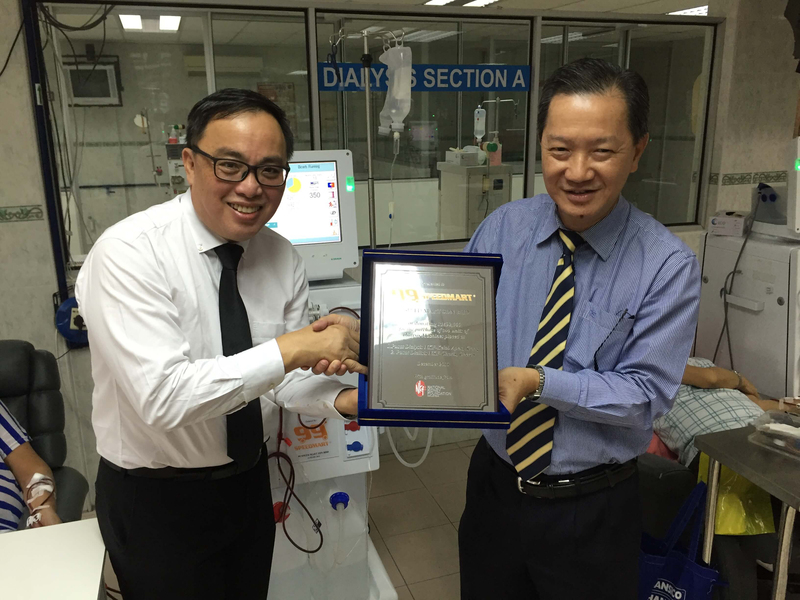 At the dialysis centre, Mr. Tang Hoe Fei, the Managing Director of Egg Plus was presented with a plaque by NKF CEO, Mr. Chua Hong Wee. The plaque is a token of appreciation from NKF for the gifts of 2 dialysis machines the company had given to the Foundation. One machine was given in 2014 and is currently being used in Pusat Dialisis NKF – Nanyang (Setapak, Kuala Lumpur), whereas another given this year, being placed in Pusat Dialisis NKF – Yayasan Sultanah Bahiyah (Kulim) in Kedah. In 25 February 2016 at the NKF Secretariat premises Mr. Ong Kan Bin a well-known, generous and kind-hearted businessman in Klang made a presentation of 2 cheques to purchase 2 dialysis machines for NKF. 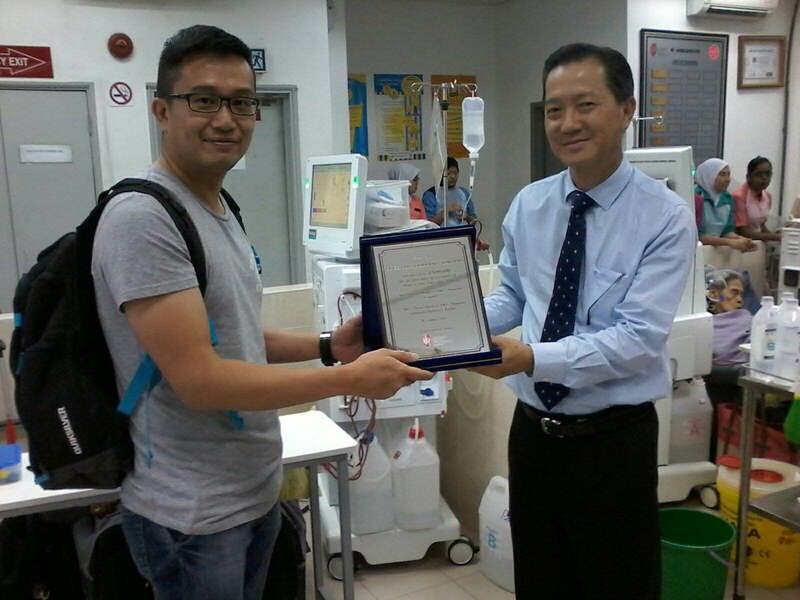 The donations were received by Mr. Chua Hong Wee, the NKF CEO on behalf of the Foundation. As he is a well-known personality in Klang Mr. Ong Kan Bin has expressed a desire for the two machines to be placed at Pusat Dialisis NKF – Kelab Apex where they can be used to provide dialysis treatment to poor patients from Klang and nearby areas. On 11 March 2016, ALC College at a ceremony at Pusat Dialisis NKF – Bakti (Klang) presented a dialysis machine worth RM42,000 to NKF. The ceremony of the hand-over was when Mr. Edmund Edward , the Chief Executive of the College, stuck a plaque on the machine which was formally witnessed by the NKF CEO, Mr. Chua Hong Wee as the representative of the Foundation. 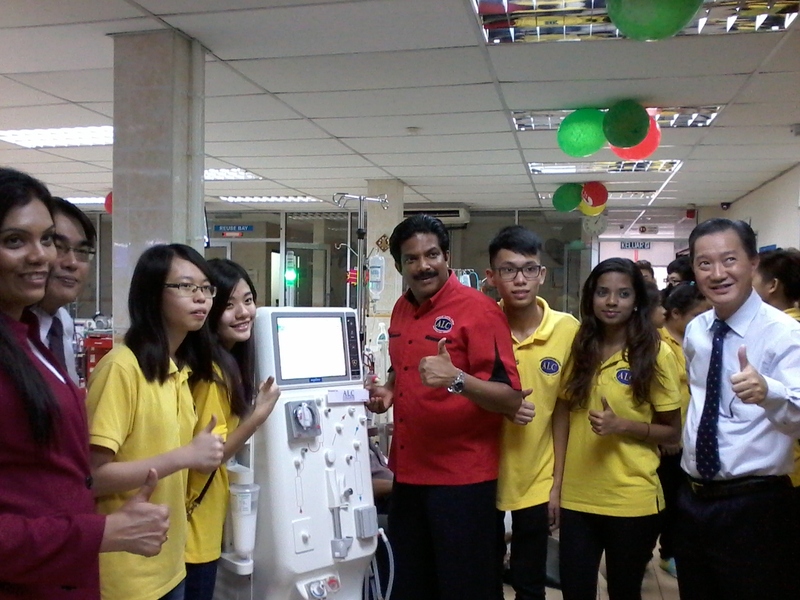 ALC College had on previous years donated dialysis machines to NKF, and the current machine is currently being used at Pusat Dialisis NKF – Bakti (Klang). In sympathizing with the sufferings of needy poor patients dialyzing at the centres of NKF and understanding that the charitable non-profit organization needs to constantly replace dialysis machines which have reached the end of their life cycles, the Leo Club SMK Damansara Jaya for the third consecutive year in 2016 organized the “From Gift To Gifts 3” Charity Concert to purchase a dialysis machine for the Foundation. 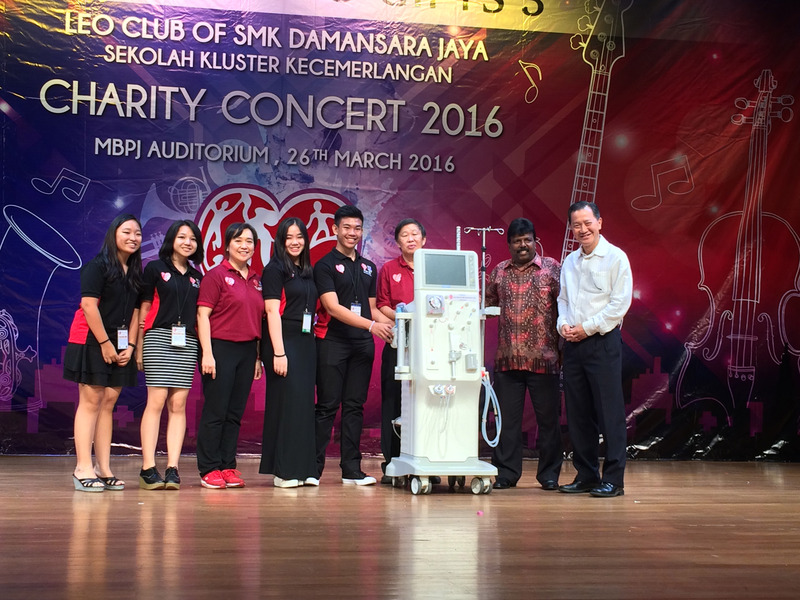 At the concert held at the MBPJ Civic Hall in Petaling Jaya on the night of 26 March 2016, the dialysis machine of RM40,000 was presented to the NKF CEO, Mr. Chua Hong Wee, by members of the Leo Club Committee. The presentation was witnessed by Mr. Ganapathy a/l Bass, the Guest of Honour for the concert as well as the Principal of SMK Damansara Jaya. The machine had been placed in Pusat Dialisis NKF (Kota Bharu). On 29 March 2016, at a dinner held at the Saloma Theatre Restaurant, The Edge Education Foundation donated a sum of RM60,000 to NKF. Mr. Ho Kay Tat, the Group CEO and Publisher of The Edge Media Group and Ms. Dorothy Teoh, the Chief Executive Officer of the Foundation jointly presented a cheque for the amount to Mr. Chua Hong Wee, the NKF CEO. 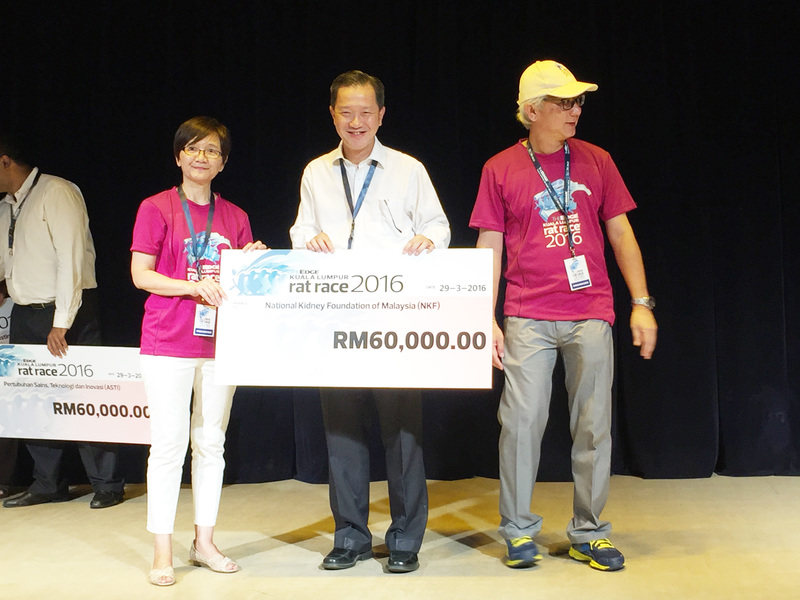 The ceremony at the dinner stage was witnessed by participants who in the afternoon of the day were vying with one another in “The Edge Kuala Lumpur Rat Race 2016” organized by the media group. The money donated was amongst the other sums raised at the race for charitable organisations apart from NKF and was for the NKF’s Children’s Education Welfare Fund. It will be used by NKF to provide financial assistance to school going children of NKF patients who are generally poor. This assistance is to help pay for the school expenses of these children especially at the beginning of the school year. 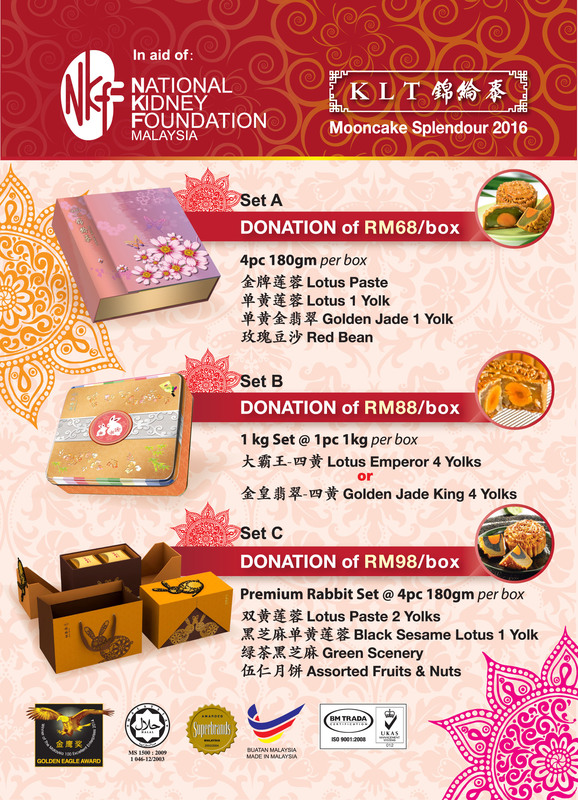 NKF in conjunction with the Mid-Autumn Festival (more popularly known as the “Mooncake Festival”) on 12 July 2016 launched mooncakes to raise money to fund its operations. For this year’s festival which fell on 15 September 2016 or on the 15th day of the 8th Lunar month, NKF entered in an arrangement with KLT Food Industries Sdn Bhd. to supply the Kam Lun Tai mooncakes. At the end of the launch on 9 September 2016, 1,442 boxes of mooncakes were exchanged, and the Foundation received RM51,875.58. For their 3rd Annual Members’ Night, the Liverpool Football Supporters’ Club In Malaysia (KL Kopites), more well known as KLK organized a charity dinner at “Kelab PJ” on 7 May 2016. The sole objective of the dinner was to raise RM32,000 to purchase a dialyser re-processor for the National Kidney Foundation (NKF) of Malaysia. At the dinner RM9,050 was raised with RM6,900 being the proceeds from the sales of the Liverpool Football Club (LFC) jerseys signed by the entire LFC first team. In turn, KLK topped up the shortfall of RM22,950 to cover the cost of the machine. Consequently, on 22 July 2016 at the presentation ceremony within the NKF Secretariat premises, Mr. Rathakrishnan Appalanaidu, the President of the Club together with three other Club members presented the dialyser re-processor to Mr. Chua Hong Wee, the NKF CEO, who represented the Foundation. The dialysis re-processor had been placed in Pusat Dialisis NKF – Yayasan Dialysis Pertubuhan Pendidikan Akhlak, Taiping. Lucenxia (M) Sdn Bhd (Lucenxia), a subsidiary of Adventa Bhd, donated RM76,800 to the National Kidney Foundation of Malaysia with its sole intention of supporting home dialysis through peritoneal dialysis (PD). The financial support comes about after NKF has declared that the Foundation will be funding and sponsoring PD, where dialysis is done at homes of patients. The NKF decision is in line with the preferred policy of the Malaysian Ministry of Health to encourage all new patients suffering from CKD to receive PD as their preferred dialysis treatment. 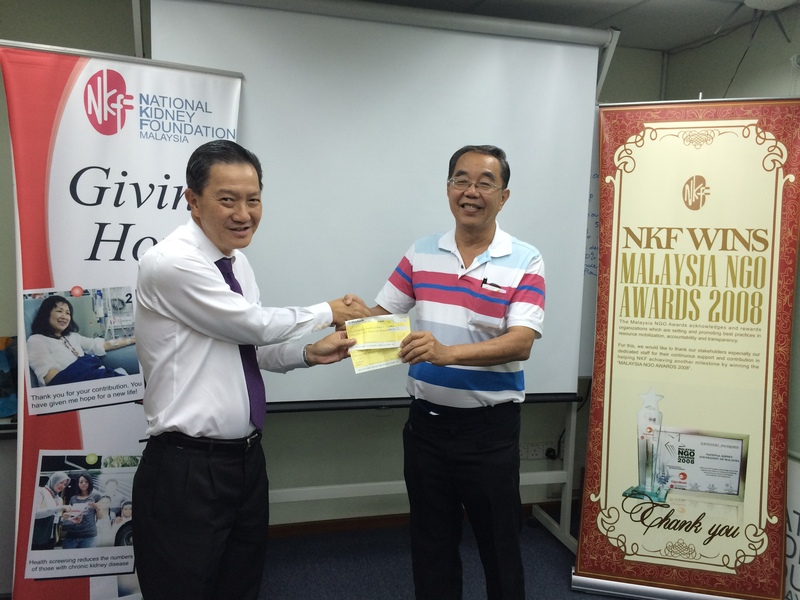 At the presentation ceremony held on 18 August 2016 within the premises of the NKF Secretariat Office, Mr Choy Wah Wei, PKT, the Chief Executive Officer of Lucenxia (M) Sdn Bhd presented a mock cheque for the amount to Mr. Chua Hong Wee, the Chief Executive Officer of NKF who represented the Foundation. “Swing for Charity” a golf event co-organised by the Rotary Club of Damansara (RC Damansara) and the National Kidney Foundation of Malaysia (NKF) in aid of the Foundation raised RM80,000 to purchase 2 dialysis machines for use by NKF. The gift of the machines was in line with the route by NKF to provide haemodialysis treatment to poor patients at its dialysis centres. 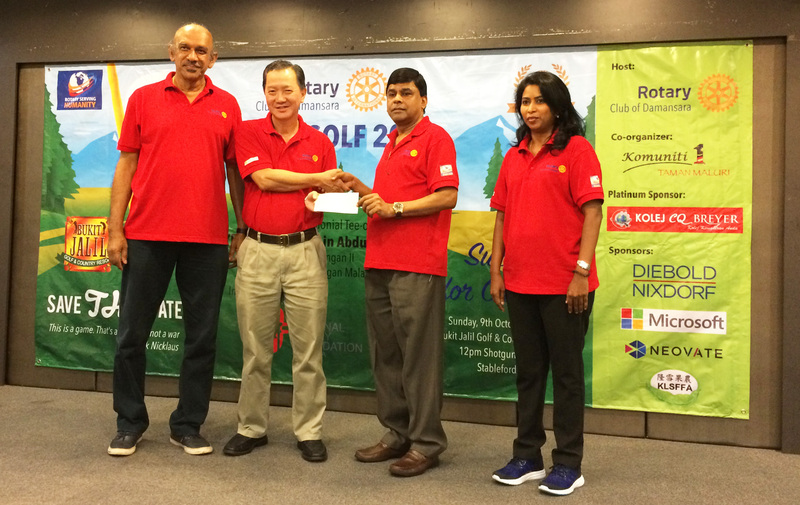 The friendly charity tournament which evolved from the Rotary Club’s International theme for the Rotary Year 2016/17 was held on 9 October 2016 at the Bukit Jalil Golf & Country Resort in Bukit Jalil. At the same prize giving ceremony, Mr. Tankaraju Muthusamy of the CQ Tec-Breyer Group of Colleges as the Platinum Sponsor of part of the RM80,000 presented the cheque for RM50,000 to Mr. Chua Hong Wee, the Chief Executive Officer of NKF. On 16 October 2016 PRG Holdings Bhd & GoCare Charity Crowdfunding jointly organized the PRG GoCare Run at Taman Tasik Keramat. 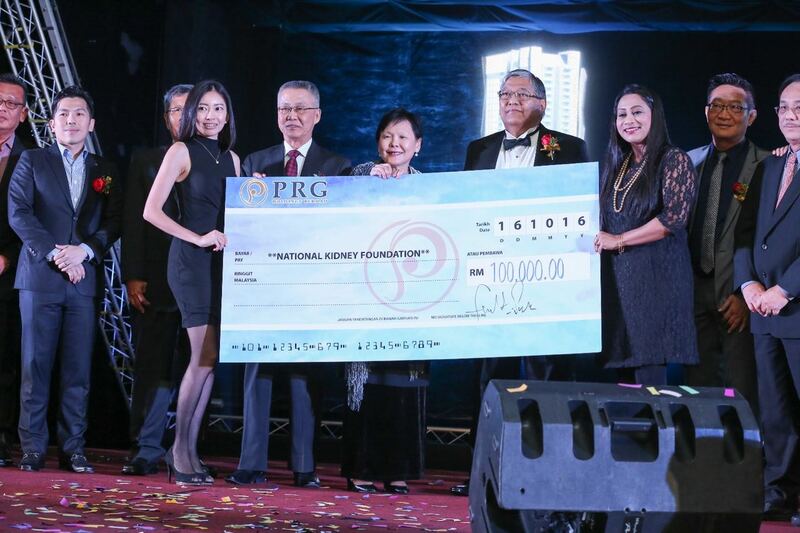 Following the run, a dinner was held by PRG Holdings Bhd at the Mandarin Oriental, Kuala Lumpur, where it was announced that RM50,000 had been raised through the joint efforts of PRG Holdings Bhd & GoCare Charity Crowdfunding for NKF. The cheque for the amount was handed over on 31 October 2016 at the PRG Holdings Bhd office in Ara Damansara. Ms. Stephanie Wee from the Fundraising Department of NKF received the cheque from Mr. Hannon Cheah. On 20 October 2016, in conjunction with its Annual Health Seminar on “What You Need To Know About About Cancer: Understanding Risk, Prevention and Alternative Treatments”, PUSPANITA donated RM41,000 to the Ministry of Health (MOH). PUSPANITA is the Association of Wives and Women Within The Public Service. 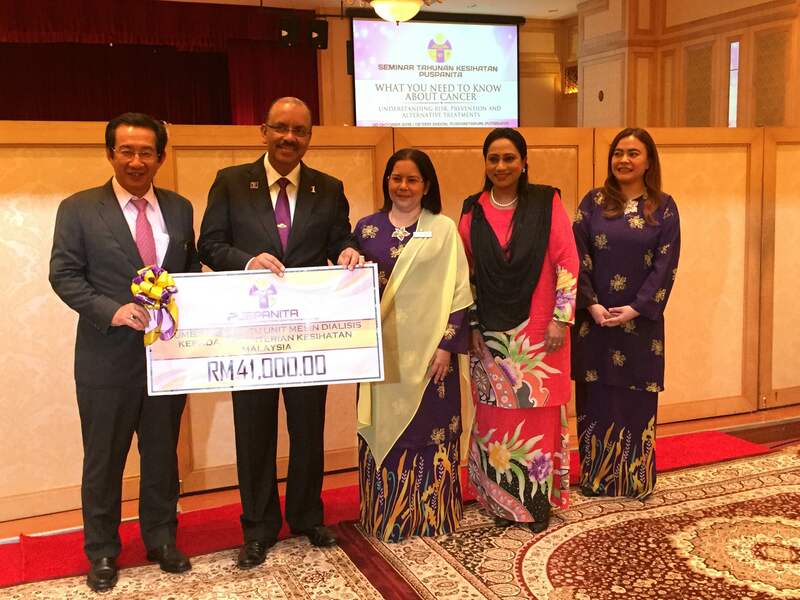 It prepared a mock cheque for the amount which was presented by its adviser Tan Sri Dr. Ali Hamsa, the Chief Secretary to the Government of Malaysia, to the Secretary-General of MOH, Dato Seri Dr. Chen Chaw Min. Amongst the witnesses to the presentation was Datin Shobana Kamalanathan, the Head of Branding, Communications and Fundraising of the National Kidney Foundation of Malaysia (NKF). The money was channeled to NKF for the purchase of 1 dialysis machine for use by the Foundation in treating poor dialysis patients at one of NKF centres. This machine is the 4th presented by PUSPANITA with the 3 others presented in 2015 and mid June 2016. The total amount presented to NKF from PUSPANITA is about RM 175,000 together with a cash donation of RM 5,000. 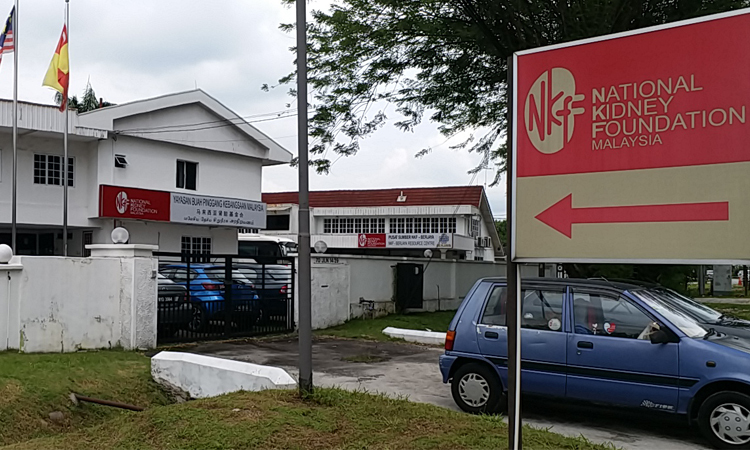 The machines placed at Pusat Dialisis NKF – Dato’ Dr. G. A. Sreenevasan (Petaling Jaya), Pusat Dialisis NKF – Charis (Cheras), Pusat Dialisis NKF – Tun Abdul Razak (Kuantan) and Pusat Dialisis NKF – Che Luan Khor (Kluang). On 25 October 2016, at a ceremony held at the Resource Centre of the National Kidney Foundation of Malaysia (NKF), six new haemodialysis machines valued at a total of RM276,000 were handed over to the Foundation by Media Prima Berhad (MPB). The machines were handed over by Encik Azlan Abdul Aziz, the MPB Corporate Communications Department Group General Manager to Mr. Chua Hong Wee, the NKF Chief Executive Officer. Funds for the purchase of the machines came from the Media Prima-NSTP Humanitarian Fund which had been raised earlier from the public via all of MPB’s platforms by highlighting the suffering and plight of poor Malaysians. The ceremony ended when Encik Azlan received a plaque from Mr. Chua in appreciation of the donation made by MPB. NKF sincerely thanks MPB for the gift of the machines which are earmarked for the new centres to be set up in Cheras, Kuala Lumpur and in Sarawak. 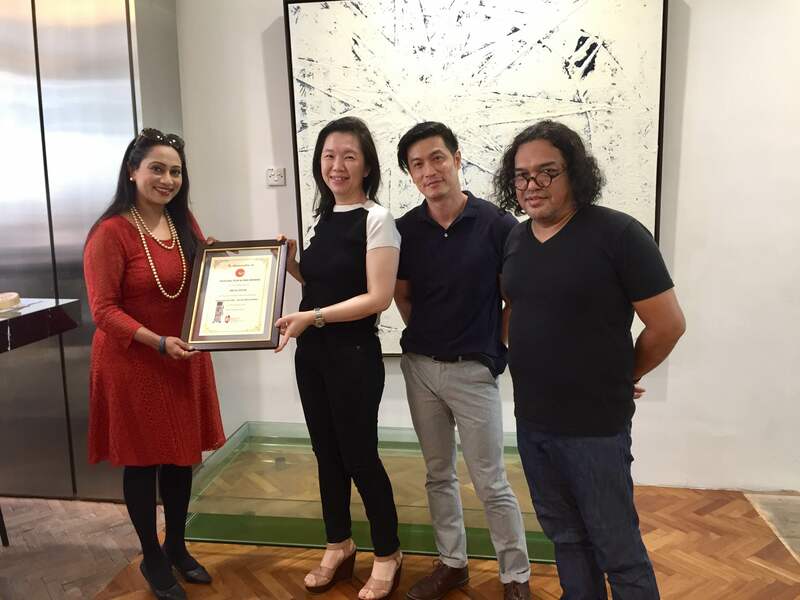 On 7 November 2016, Encik Rezzuan, Ms. Yeoh Tze Shyun and Mr. Eric Ong, the Directors of Rezzuan Yeoh & Ong Sdn Bhd (RYO), received a token from NKF at the office of RYO in Taman Danau Desa, Kuala Lumpur. The token was presented by Datin Shobana Kamalanathan, the Head of Branding, Communications & Fundraising of NKF in appreciation of RYO donating a dialysis machine worth RM50,350 to NKF to enable the Foundation to provide dialysis treatment to its low income patients at its centres. RYO is a well-established interior design firm which had in previous years donated successively 7 dialysis machines to NKF and the machine donated for this year is the 8th that the firm had presented to the Foundation under the firm’s corporate social responsibility programme. The machine was placed at Pusat Dialisis NKF – Kelab Apex (Klang).